If you’ve read and tried the technique discussed in “How to Brush your Dog’s Teeth”, hopefully it worked for you. But, unfortunately, not all dogs are the same and some will just not respond to your attempts to brush their teeth. If your dog is comfortable with you opening their mouths but aren’t necessarily comfortable with the brushing, try rubbing in the toothpaste with a cloth. A normal (unused) dish cloth, gauze or even stockings will do the job. This isn’t an ideal, long-term solution but it will help to slow down the buildup of plaque and freshen their breath. Not only are chew toys a great way to reduce boredom and stress, but they can also scrub away any soft tartar, plaque and even massage the gums. It won’t do a lot for freshening their breath and, again, it isn’t a great long-term solution. Think of chew toys more as a supplement and additional support to regular brushing, not as a replacement of it. Rawhide, bones and nylon or rubber chew toys are best. Try switching to dry food instead of wet foods. The crunch will help to fight plaque and tartar buildup. There are also lots of dog foods brands specifically designed to aid in cleaning teeth as a dog eats; but, again, this is not an ideal long-term solution and will not protect their mouths as well as brushing. Another, less favourable, alternative to brushing is a dental spray or gel. They contain ingredients which will slow down and discourage the growth of bacterias that cause a buildup of tartar. Of course, there is no brushing or scrubbing involved here and we are yet to find a dental spray or gel which we believe to be a good alternative to brushing. If your pooch will not let you brush their teeth, as we’ve discussed, none of the above are great long-term solutions. 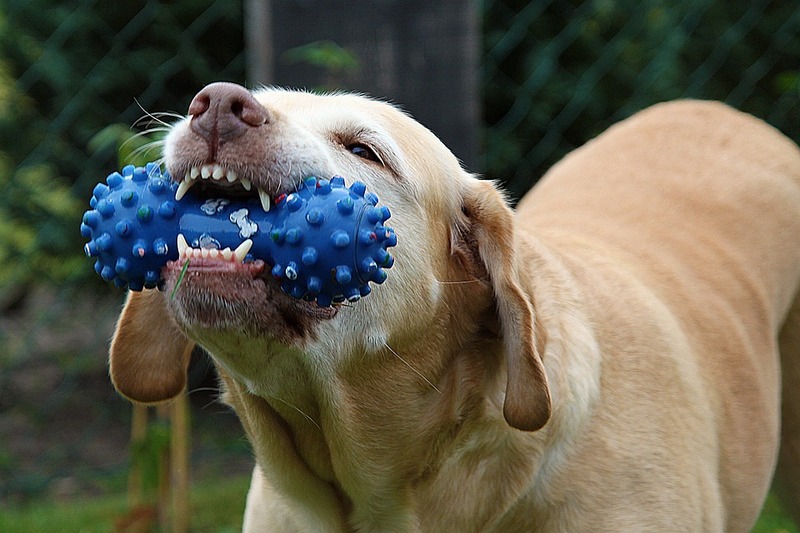 Dry food and chew toys can be a great dental health supplement for dog’s in the short term. It is true that they can helping to fight plaque, massaging the gums and combat tartar. Still, if your dog isn’t comfortable with you brushing their teeth you need a better long-term solution. A professional clean might be just what they need. I know your first instinct when you hear the word “professional” is that it’s going to be expensive, but you’d actually be surprised at how affordable it can be. Here at EveryDog, we offer a professional teeth cleaning service for just £9.95. To use a professional to clean your dog’s teeth is not a reflection on you, sometimes it is just easier to hand over to a professional – this can be better for both you and your dog. Using a professional to brush your dog’s teeth doesn’t mean your pooch’s teeth will need to be professionally cleaned every day, or even every week for that matter. Our dog teeth cleaning service is deep and thorough and, in most cases, we only recommend a dog need it once a month. As long as you use some of the other 4 methods throughout the rest of the month, you can help to combat plaque and tartar build up and keep your dog’s mouth fresh and healthy.